Even suspicious large deposits by people and companies who have filed their income tax returns are also under strict scrutiny, said the CBDT Chairman. Income Tax department has issued notices to 1.16 lakh individual and firms that made cash deposits over Rs 25 lakh after the demonetisation move last year, but have not filed their tax returns yet. The tax department has asked these defaulters to file their tax returns within 30 days. The move comes on the back of combing practise by the income tax department covering 18 lakh people who had deposited over Rs 2.5 lakh in the junked Rs 500 and Rs 1000 currency notes after demonetisation. The individuals and firms that were combed by the Income Tax department for tax default were then divided in two categories - those who deposited more than Rs 25 lakh and those who deposited amounts between Rs 10 lakh and Rs 25 lakh. 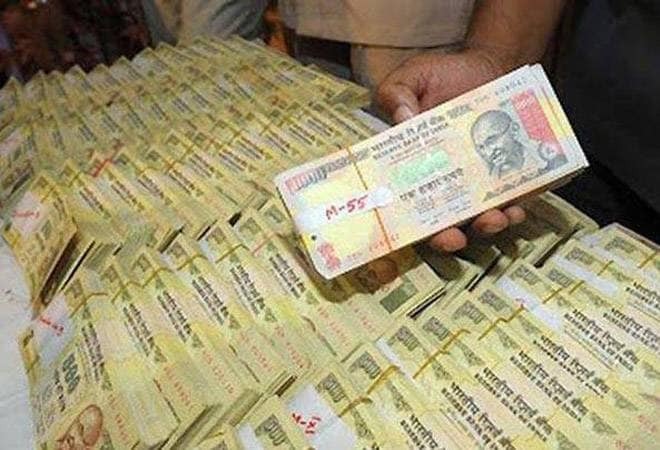 "There are 1.16 lakh people who have deposited more than Rs 25 lakh in cash after demonetisation in old currency notes but still not filed their returns," CBDT Chairman Sushil Chandra told a PTI. The notices against 1.16 lakh individuals and companies have been issued under the Section 142(1) of the Income Tax Act. Around 2.4 lakh people who deposited between Rs 10 lakh and Rs 25 lakh have failed to file their tax returns by now, Chandra further added, and notices will be slapped on them in the second phase if they fail to file their tax returns. In a two-page directive, the Central Board of Direct Taxes (CBDT) has recently ordered assessing officers to closely assess all revised income tax returns filed by taxpayers after the demonetization. The officials have been directed to impose higher tax under section 115BBE (treatment of tax credits) of the I-T Act in cases where black money is detected. The directive also states that any claim of enhanced sales (especially by business category of taxpayers) may be compared with the central excise/VAT returns. The rationale behind the CBDT directive is that the legal provision of filing a revised or belated ITR is not misused and black income is not shown as white in the aftermath of demonetisation by a taxpayer. Meanwhile, Chandra told PTI that number of people facing persecution for violating provisions of I-T Act has reached 609 during the April-September period in the current fiscal, more than twice than the figures recorded during the respective period last financial year. Conviction rate has also gone up, with courts convicting 43 people of flouting income tax rules, he added.